INTRODUCTION: Over the last four months, North Siders have contributed to the web page, and the newsletter committee appreciates your participation. We have received class pictures from the past, responses to where many of you spend the winter, and comments to share with fellow classmates. The newsletter is averaging 70 to 80 hits over a 30 day period, which is quite impressive. Please continue the communication by sending any ideas, school pictures, or questions you may have to Steve Heine, heine4019@hotmail.com or Pat Lewton Horoho, phoroho@comcast.net. This is your newsletter, and the committee looks forward to your input. MARCH 15 DINNER: 24 people attended the March 15 dinner at Hall’s Guest House. We announced the Sweet Breeze River Cruise (see below). We opened the floor for future tours such as Auburn-Cord Duesenberg, Electric Works, and Sweetwater Sound. Other ideas include touring downtown prominent churches, the Courthouse, and the Landing. We also talked about touring downtown Fort Wayne during the 60th reunion. Also, we discussed the grand opening of the Promenade Park on June 21. The Riverfront Development is divided into three phases with Promenade Park as phase 1. Click on the link below. The trip is scheduled on the Sweet Breeze Riverboat in Fort Wayne, IN. It will begin at 10:30 a.m. and last 1 ½ hours. A docent will educate us about Fort Wayne’s history. The boat holds only 38 people; therefore, it is necessary to get your reservations in early. The Riverboat is handicap accessible. Lunch will be on your own at Don Hall’s Gas House immediately following the tour. Reservations will be made by Steve Heine. The cost of the boat excursion is $30 per person and must be sent to Steve Heine at 3643 Westport Drive, New Haven, IN 46774 no later than June 1, 2019. For more information about the Sweet Breeze Riverboat cruise, click on the following link. We are looking forward to seeing you on June 17. WEBPAGE TIPS: Have you forgotten your password to the website? No problem. Just email Dave Green at dcgr99@gmail.com, and he will assign you a new password. There are four of us who are administrators on the web page: Dave Green at dcgr99@gmail.com, Les Ehrsam at les@lesehrsam.com, Pat Horoho at phoroho@comcast.net, and Jim Keller at kelljas1@comcast.net. We are committed to keep classmates informed of activities in Fort Wayne, as well as to provide information that will be of interest to you. 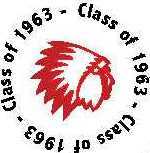 NORTH SIDE ALUMNI ASSOCIATION NEWS: On March 19, the North Side Alumni Association held its monthly meeting. The Alumni Association approved monies for new band uniforms and a new scholarship program. Please send your comments regarding this newsletter to Steve Heine so the committee can better meet your needs.